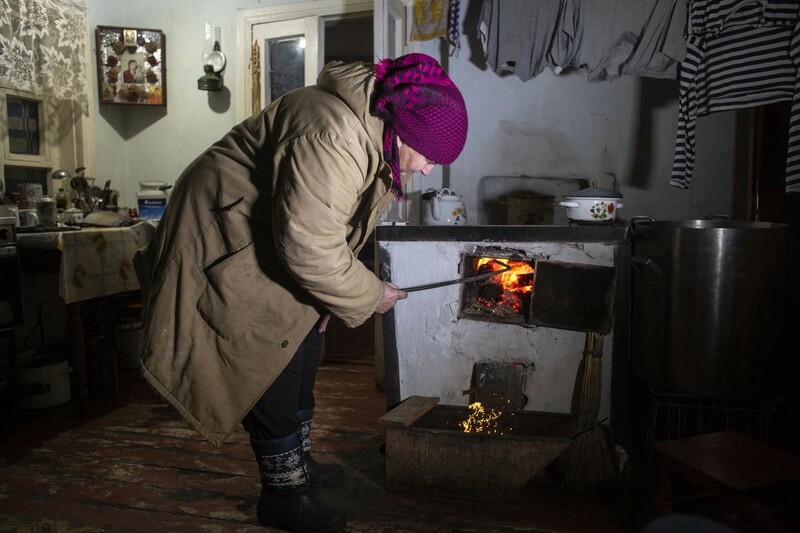 In Ukraine, winter temperatures make life hard for thousands of people whose lives have already been torn apart by conflict. 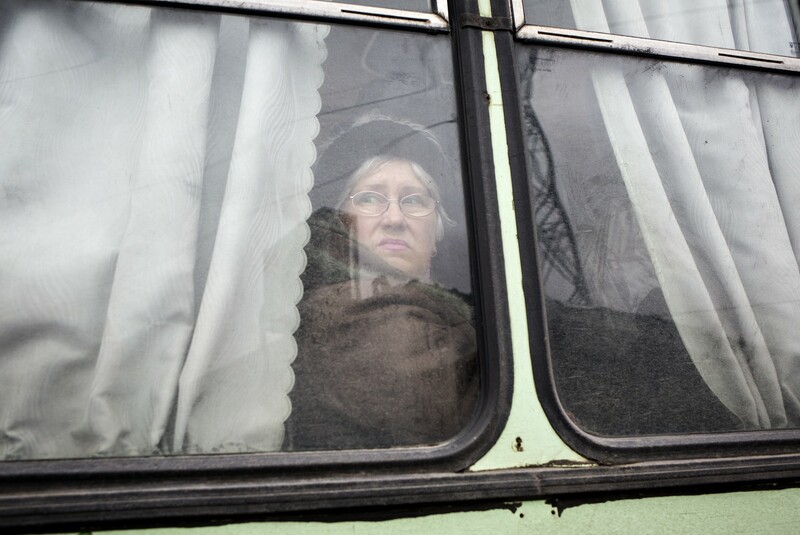 Since 2014, conflict in Ukraine has forced 1.5 million people to flee their homes. For those affected by the violence, winter can make life especially difficult, with temperatures plummeting as low as -20 °C. After five years, many of the displaced have exhausted their resources and are often forced to choose between buying food and medicine or paying for heating. 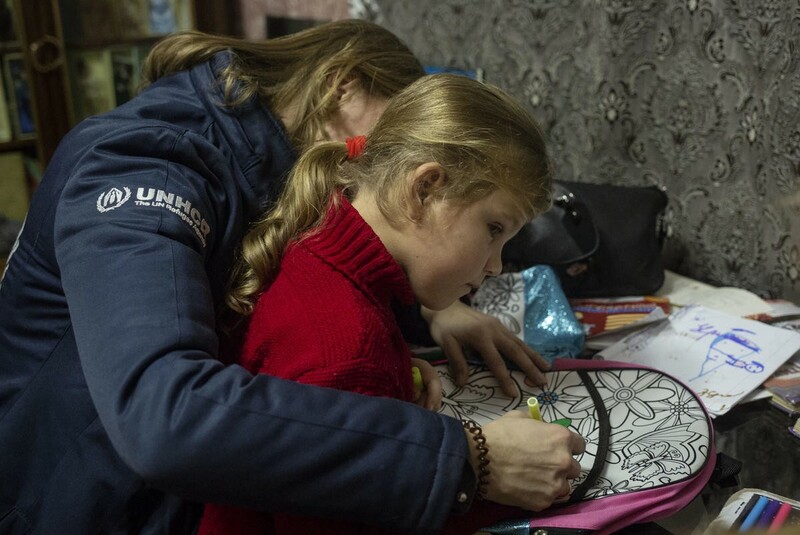 In 2018, UNHCR, the UN Refugee Agency, stepped up distributions of aid, including clothing, fuel and cash, to thousands of displaced households in eastern Ukraine. Along with partners, it is also reinforcing existing shelters and heated tents at checkpoints along with contact line that divides Government and non-Government controlled areas. 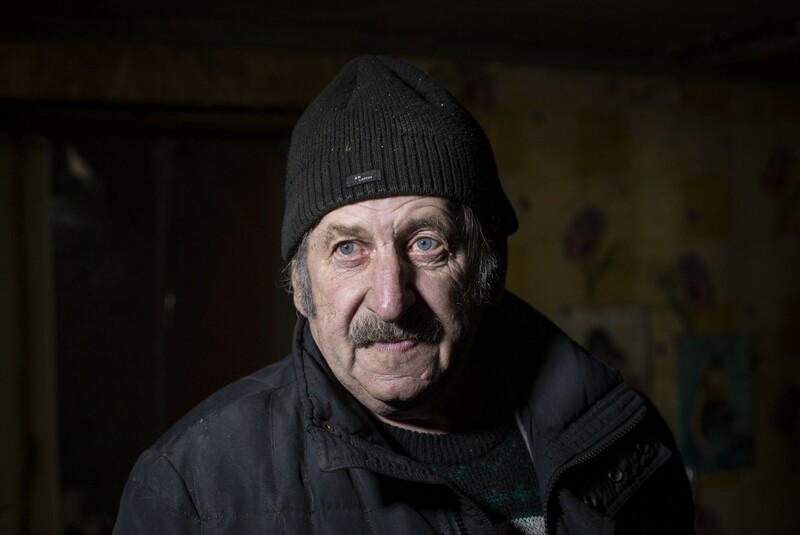 Meet four displaced Ukrainians who will not be left out in the cold this winter, thanks to support from UNHCR and NGO partners. I have lived in Mykolayivka, Donetsk, for many years now. Winters here are cold and windy. The temperature can get as low as -10C. Shelling makes things difficult at this time of year. When it starts, the first thing you do is run to the cellar, but it is very cold there. 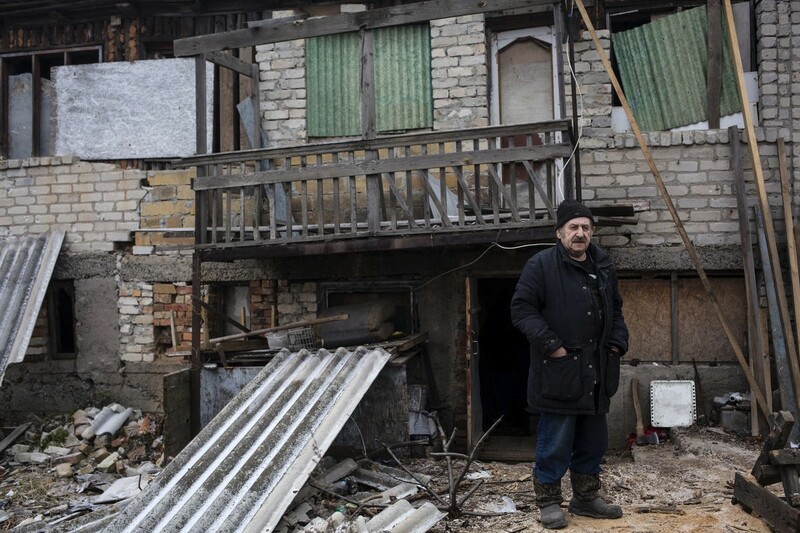 When my house was shelled in 2015, I brought all the warm clothes and blankets I had. Even then, it was cold. Afterwards, I went to check on my house. 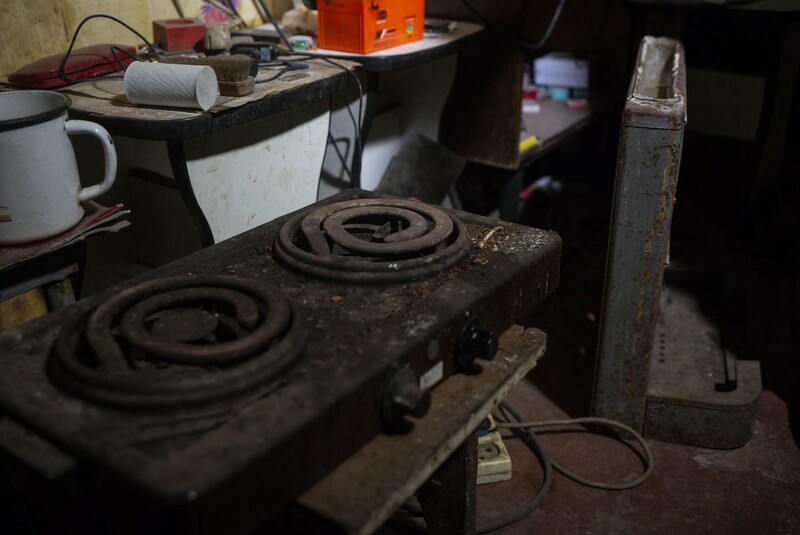 Strangely, many things remained unbroken, including the fridge and the television. But the ceiling was missing. The smell was terrible. Many things were burning and I had to move in with a neighbour. After that winter, I developed problems with my kidneys and my heart. This year I received emergency shelter materials from UNHCR. I was also given four tons of coal. I dream of being back in my own house. And to sleep in my bed in a nightie. We have been sleeping in our clothes for so many years. When they start shelling you immediately run to the cellar — there is no time to dress. 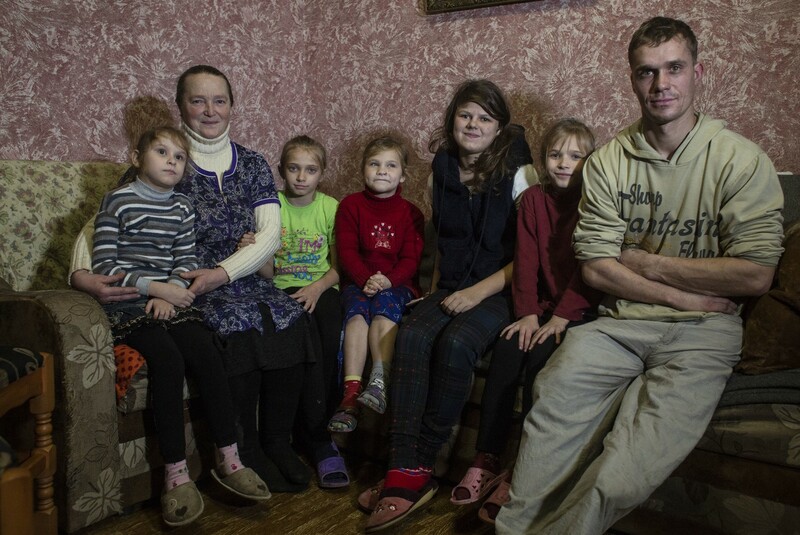 I hope that the fighting will stop and my children will come back home. My daughter’s son is only two, but he already has a lot of health problems caused by stress and fear. He can’t look at fireworks because he is afraid it is shelling. I hope very much that one day they will come back. 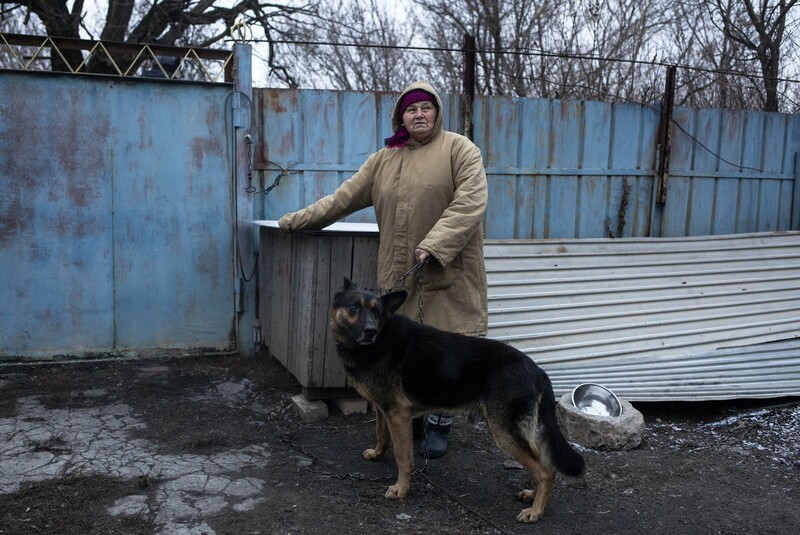 I am from Avdiivka in Donetsk. 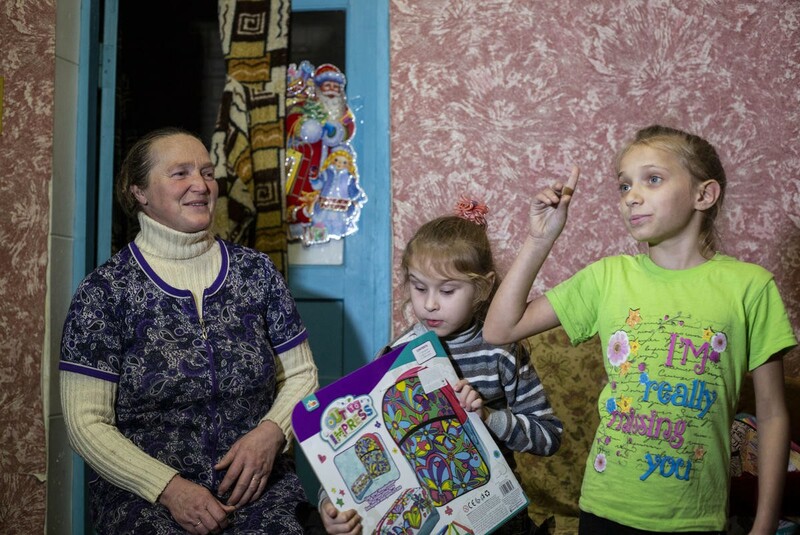 My wife died years ago and my two daughters live in Crimea with their children. Lots of people have fled our town. After my house was bombed in 2015, I moved into the basement because the roof and much of the interior was destroyed. The neighbours stayed with me. At night, you could hear shelling and gas pipes exploding. I remember cutting down trees in the garden to keep warm. There was no bread, no light and no gas. We ate potatoes we had grown in the summer and if someone went outside we would ask where they were going, so that we’d know where to find them if they were killed. Now I can’t be alone. I am afraid. I’m grateful to my neighbours — in the afternoons I go to their house and get warm. Coal prices are high and I hardly eat in the summer so I can buy coal for winter. 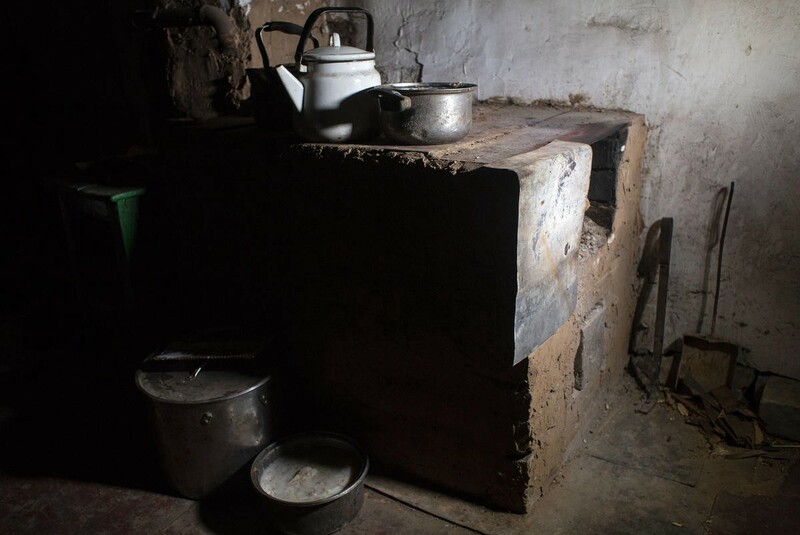 A cash grant from UNHCR will help to pay for electricity. 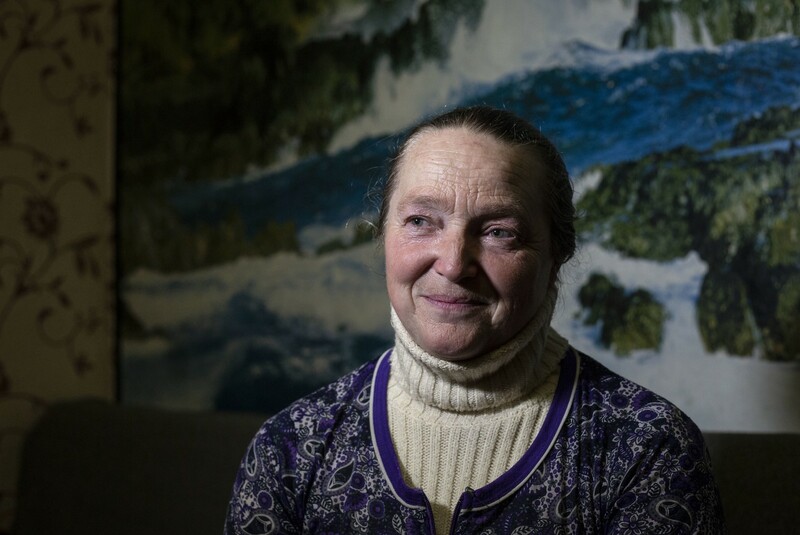 I cannot pay it from my pension, which is only 1,900 UAH (around US$67) per month. I miss my daughters a lot. Unfortunately, there are problems with the telephone lines on my street, so I haven’t been able to call them for about a month. I want peace. I do not want people to starve and freeze. I don’t want children to hear explosions. I hope that peace will finally come. 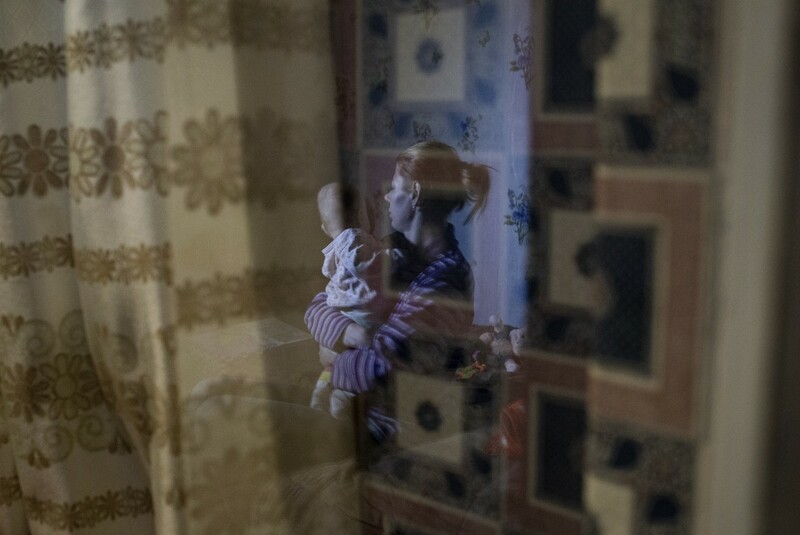 I live in Majorsk village in Donetsk with my daughter Yelyzaveta, who is seven months old. I moved here after my mother died in 2017. I was very depressed. I didn’t want to live, so when a friend of mine invited me to join her I was glad to accept her invitation. But this has been a hard winter. Having moved near the contact line with a small child in my arms, I feel the brunt of what is happening. 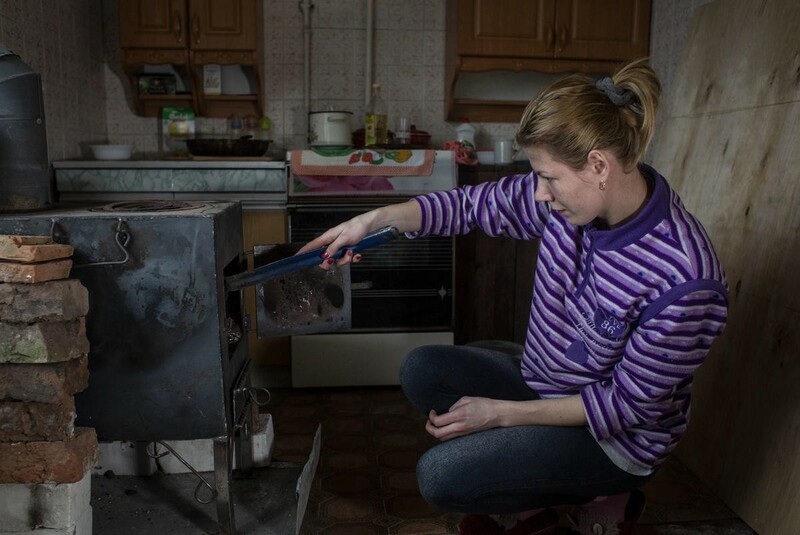 There is no central heating in my building because of the conflict, so I was very happy when UNHCR and [the agency’s NGO partner] Proliska brought me a stove. The most important thing is heating. Other organizations also help. It is difficult when you have a child. I hope we can move to another place, safer than the place we have now. There is no hospital or pharmacy nearby, and I always worry about how quickly the ambulance would come if something ever happened. You cannot imagine what we have lived through since the beginning of the conflict. 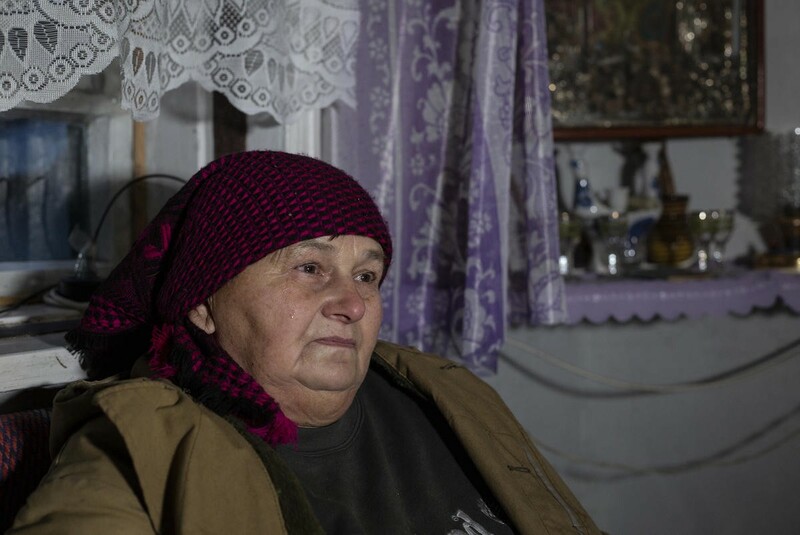 For the first two years we lived in Zhovanka village, very close to the contact line, and we were shelled almost every day. The house was damaged and our dogs were killed. We couldn’t even walk anywhere because of the landmines. It was especially hard in winter. The windows were broken and we struggled to keep our house warm. When it rained our roof leaked and there was no electricity most of the time. We were all scared, but we had nowhere to go. 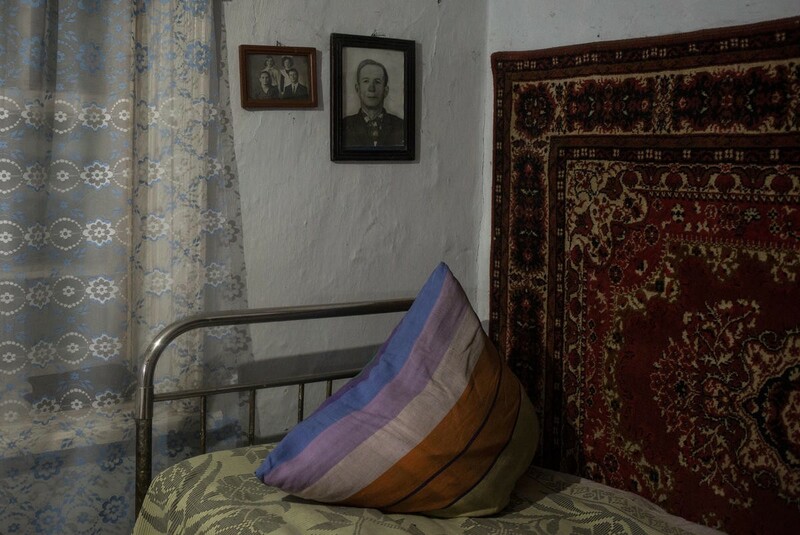 In 2016, thanks to Proliska, we were able to move to a safer place in Chasiv Yar. They were the first organization to support us and we were so grateful. They would bring food and warm clothing, coal and medicines. Together, my husband and I have raised 15 adopted children and our own daughter. The majority of our children have special needs. Some of them have grown up and started their own families. Last year, UNHCR gave us winter jackets for all the children, as well as warm blankets, bed linen, towels and a set of kitchen utensils. Recently, I went to a concert. While the audience enjoyed it, I started to weep. Life is so unjust! Some people have the chance to live happily, while others are deprived of even basic services in their villages along the contact line. I hope that the conflict will end soon. The soldiers will go home and reunite with their families, and people here in the east will go back to normal, peaceful life.